Our company is on the FHA Roster of approved certified residential appraisers. We're qualified and certified to do appraisals for FHA insured loans. 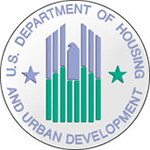 We're trained and understand the rules and procedures in FHA's guidance and policy documents.